January Challenge: What’s in Your Bag? if you’d like to be-dazzle your blog! 1) Take a picture, make a video, write a post or find one that fits the theme (it doesn’t have to be a new post if you’ve already written something that answers the question). 2) Then make sure you leave a comment below with a link to your post so we can all read it! No problem! 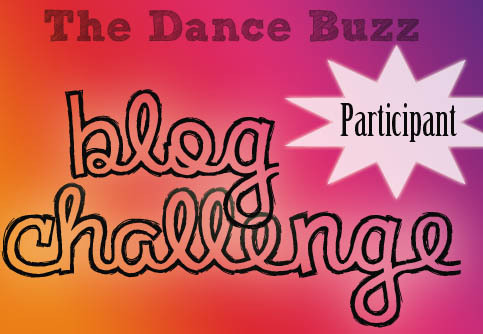 Participate by leaving a comment below, tweeting @thedancebuzz or posting to our Facebook wall a picture of your dance bag, or comment with your favorite item in your dance bag. For me, fall means changing leaves, shorter days and Halloween! Grab this baby for your blog! 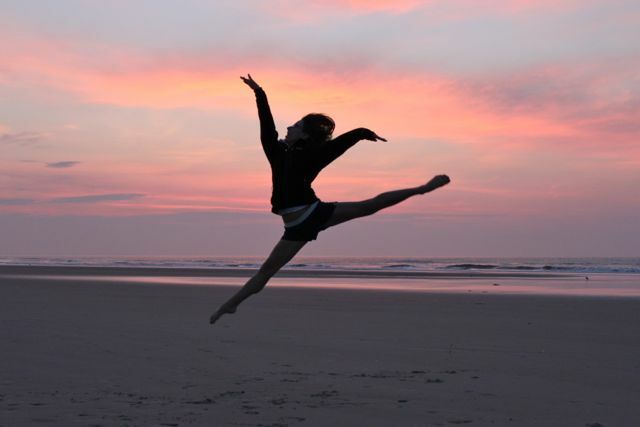 What does fall mean to you and your dance classes? Last month’s challenge was to share an inspiring video. For October, your mission is to share an idea for a fall dance class. It can be about leaves, pumpkins, Halloween, apples – your choice! If you’re a student, tell us how or if your studio has any fall traditions that you enjoy. If you’re a teacher – how do you incorporate the changing season into your classes? 1) If you have a blog, share or link to your fall post (it doesn’t have to be a new post, since I’m a little late in getting the challenge up this month). Don’t have a blog? No problem! You can participate by leaving a comment below, tweeting @thedancebuzz or posting to our Facebook wall with your Fall dance class idea! Participating in this month’s challenge? so you can be official! For many dancers, parents, teachers, September means one thing: Back to School! While I’m sad summer is ending, a new dance season is always exciting and my time off has made me anxious to start teaching again. I’ve spent the last few weeks searching for some new music and watching dance shows and performances for some inspiration. Last month’s challenge was to share the inspiration from books. For September, your mission is to share a video that inspires you. If you have a blog, share or link to your inspiring video and post a few words on why you like it. Then make sure you leave a comment with a link to you post so we can all read it! Don’t have a blog? No problem! 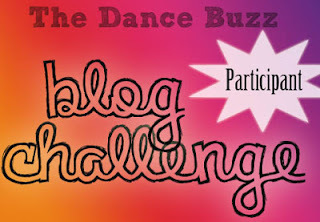 You can participate by leaving a comment below, tweeting @thedancebuzz or posting to our Facebook wall a link to your favorite dance video and why! Can’t wait to see your inspiring videos! 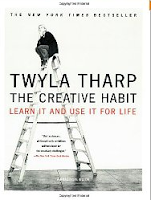 I started titling this entry “Summer Reading List”, but then realized that it’s already August! Yikes! So I will call this my Late-Summer / Early-Fall reading list and hope I get through most of the books by the time the leaves start to fall.This is also my response to August’s Blog Challenge – what are you reading? And p.s…. Happy National Book Lover’s Day! Total unplanned coincidence! 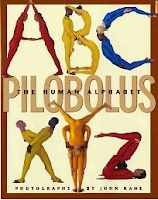 The Human Alphabet by Pilobolus – can’t wait to use this one in creative movement class in the fall! The Souls of Your Feet by Acia Gray – a tap book! 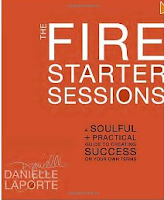 The Fire Starter Sessions by Danielle LaPorte – I started reading this the other day and so far it is a nice change of pace from usual business books – it’s like a breath of fresh air! Quick word about my affiliate relationship with Amazon so we’re all clear: If you click the links above and end up purchasing a book, I get a teeny percentage of the sale. If you don’t want to do this, you can search for the book on another site or use Amazon without clicking the links. Yay freedom of choices! Wait. That should read: What? It’s August? What do you mean there’s only five weeks until classes start? Ack! For me, August is the last chance for some time off from teaching (our summer classes only run until the end of July), which is when I do things like… go to the ballet, read dance books and catch up on SYTYCD. A.K.A. 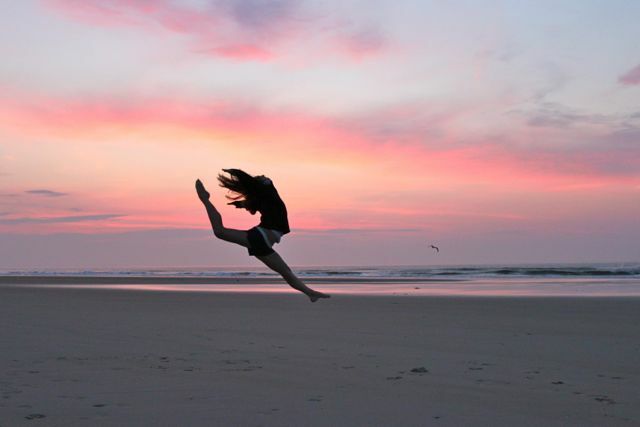 dance inspiration time! So in honor of the inspiration that comes from the written word, and in honor of all the college students heading back in for a new year of reading and learning, August’s Blog challenge is to post about what you’re reading now, what you’ve read this summer or even just your favorite dance book, business book or children’s book. Don’t have a blog? No problem! 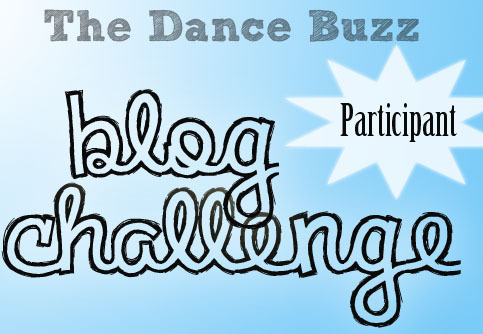 You can participate by leaving a comment below, tweeting @thedancebuzz or posting to our Facebook wall! Also follow my “Worth a Read” pinterest board, if you’re obsessed with Pinterest like I am into that kind of thing. 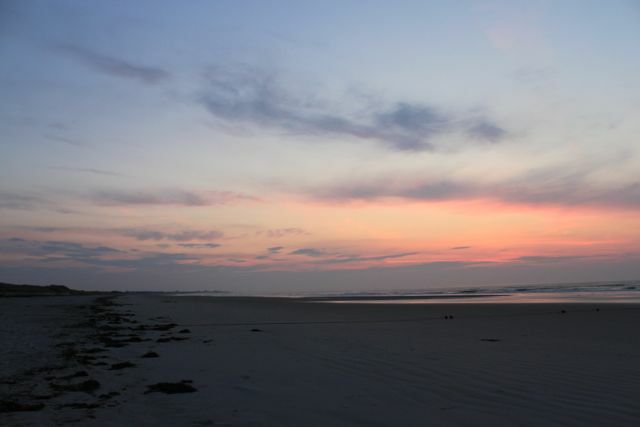 I’ll post my summer reading list shortly and I look forward to reading yours!